Explanation: Inside the head of this interstellar monster is a star that is slowly destroying it. The monster, actually an inanimate pillar of gas and dust, measures over a light year in length. The star, not itself visible through the opaque dust, is bursting out partly by ejecting energetic beams of particles. Similar epic battles are being waged all over the star-forming Carina Nebula (NGC 3372). The stars will win in the end, destroying their pillars of creation over the next 100,000 years, and resulting in a new open cluster of stars. The pink dots are newly formed stars that have already been freed from their birth monster. 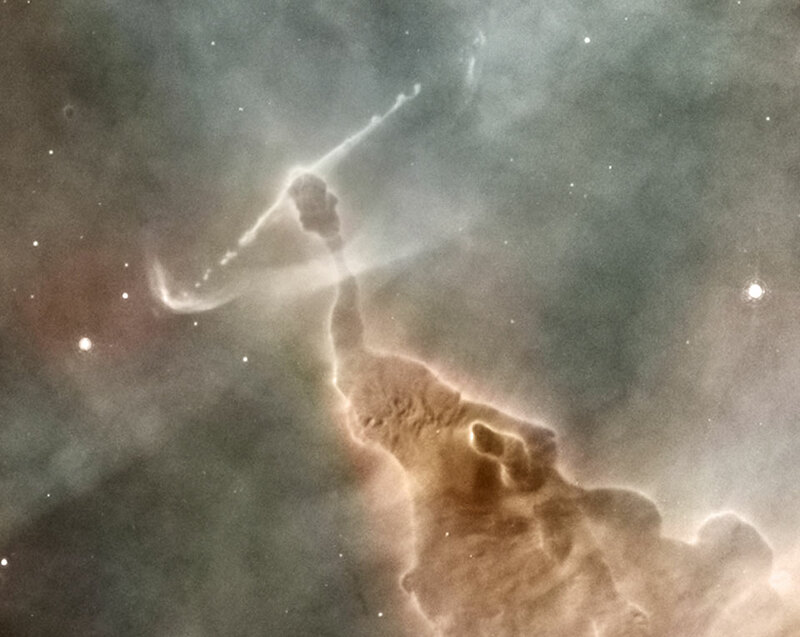 The above image is only a small part of a highly detailed panoramic mosaic of the Carina Nebula taken by the Hubble Space Telescope in 2007. The technical name for the stellar jets are Herbig-Haro objects. How a star creates Herbig-Haro jets is an ongoing topic of research, but it likely involves an accretion disk swirling around a central star. 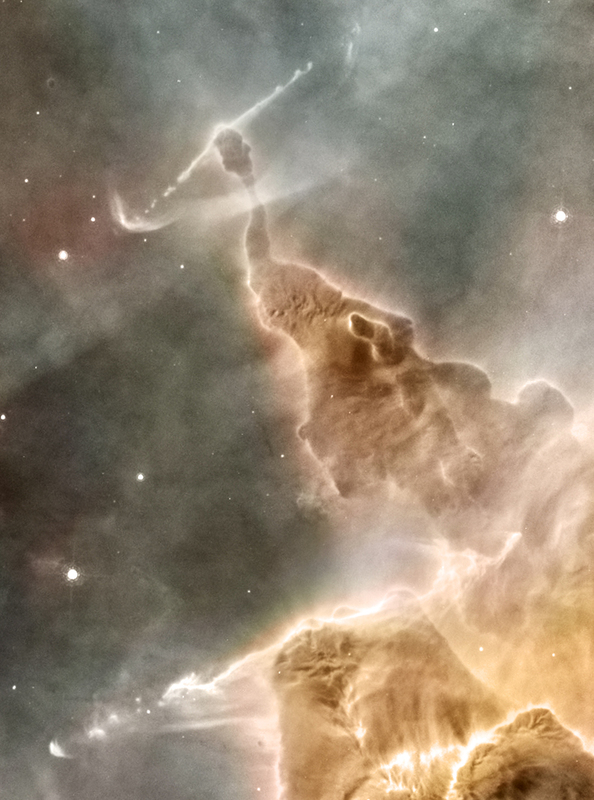 A second impressive Herbig-Haro jet is visible across the bottom of a larger image.